A gay Muslim couple have married in France, where it is not yet legal, with the blessing of an imam. 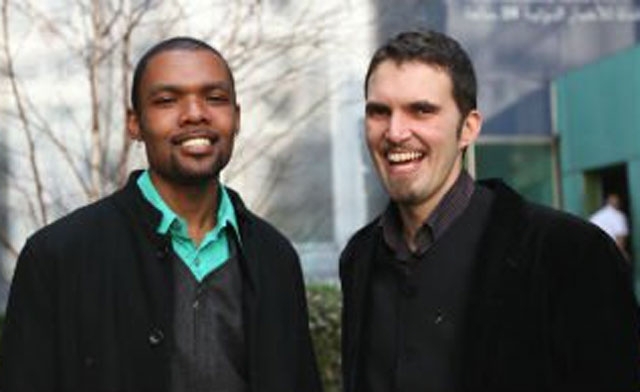 French-Algerian Ludovic Mohamed Zahed and his partner, Qiyam al-Din, a South African, were previously able to marry in Qiyam’s home country. However as their union was not recognized by French authorities, an imam blessed the marriage in a ceremony held among family and a few close friends on 12 February 2012. Ludovic recounted how the couple met last year on France 24 TV. On their marriage, he said: ‘Being married in front of my family was like a new start of life for me. Their union has been met with hate mail and animosity from conservative Muslims, and the couple have said they have received death threats. Ludovic, who has family in Marseille, is now attempting to get a legal permit for his new spouse to stay and work in France. The newlywed couple say have no intention of visiting a Muslim country in fear of being attacked.